What if you were to give your creativity all the space it deserves? What if you were to develop and expand on it every day? What if you were to put creativity at the heart of each and every one of your projects and dreams? It is up to you to maximise this exceptional resource. Daring to think differently, seeing things from a new perspective, launching original initiatives: this is what is at the heart of creativity and innovation. Imagine the incredible challenge of building a gigantic expiatory temple such as a Gothic cathedral at the end of the 19th century in a working-class area, far (at the time) from the city centre of Barcelona. Started in 1882, the Sagrada Familia is expected to be completed in 2026, the centenary of the brilliant Catalan architect’s death. Gaudi was very touched by the nature of his native region. 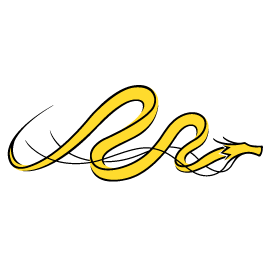 As a child and adolescent he spent much of his time observing the flora and fauna of Catalonia, being preventing from playing with other children through illness. It is during this contemplation of nature that his architectural inspiration was drawn to design (in his Modernist style specific to Barcelona between 1880 and 1900) buildings unique in the world such as Casa Battlo, La Pedrera and the famous façade of the Nativity of the Sagrada Familia. He said, “I have always copied from the great open book of nature.” The impossibility of the Sagrada’s project is due to its size given the very limited financial, human and technical resources available to the architect. The proof: if it is completed as planned in 2026, the construction of the Sagrada Familia will have lasted 144 years. Ross Lovegrove is one of the most influential industrial designers of recent decades. This Welshman, more passionate about the future than about the present, develops a visionary aesthetic in which the logic and beauty of nature find a special place. He has worked for many prestigious companies, including Airbus, Apple (on IMac), Japan Airlines, Olympia, Peugeot, Canon, etc. 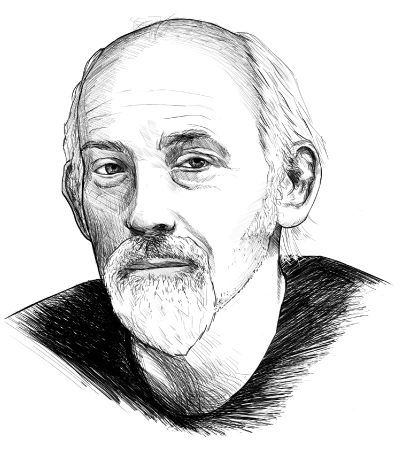 As a designer and visionary creator, Ross Lovegrove does not like shortcuts in creativity. To his clients who are (almost) always (very much) in a hurry and who make creative choices too soon, he repeats that one must not stop the creative process too early: “Let it flow!” he said, let it go, let it wander, let the ideas make their own way before deciding. “Dare to imagine the impossible!”. To the Directors of Ti Nant who asked him to design a new bottle for their spring water, he asked, “Would you be interested in a bottle in which the consumer would see the Ti Nant underground spring flowing?”. And always starting with the impossible as a point of departure: it’s from here that the craziest ideas can begin to come to life. If there was ever an inevitability shared by the greatest number of living beings on earth today, it is that poverty remains unsolvable. It has always existed and it is still chronic today. A large part of the world’s population lives on less than two dollars a day, and there is nothing to suggest that one day a miraculous solution will be found. It is against this comfortable and shameful inevitability that this Bangladeshi economist and entrepreneur stepped forward. He had the audacity to come up with a solution that runs counter to all major governmental, inter-governmental, UN, and other programs which claim to reduce poverty. 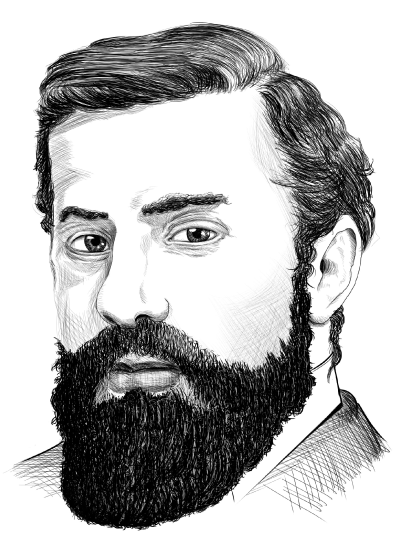 Instead of entrusting the problem to the experts, instead of setting up huge long-term projects, instead of having a Western and technocratic approach to thinking and acting, he imagined putting the problem in the hands of the poor, wherever they may be, with the resources and everyday needs they have: micro-credit. What the world’s poor lack most is the opportunity to take control of their own destiny and create wealth themselves. Instead of giving $10,000,000 to a big investor, it is more effective in terms of fighting poverty to lend $100 to 100,000 local entrepreneurs, craftspeople or families to start their own businesses. 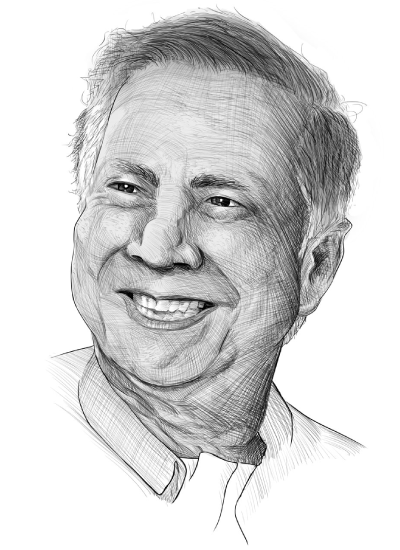 To make his revolutionary vision come to life, Muhammad Yunus created the Grameen Bank, the first microcredit institution in history. Today, millions of people have benefited from micro-loans. In 2006, the Nobel Peace Prize was awarded to Yunus. The way large banks function made the idea of microcredit impossible, absurd, and unrealistic. Financial institutions look for large customers – large accounts, with high profitability and maximum solvency. One only lends to the rich and the powerful. Yunus understood that it was necessary to invent a new financial equation and also to understand that the poor repay their loans, all the more so since a very large majority of micro-borrowers are women. Yunus was able to see the problem in a radically different way and to bring an element of solution to a problem that still requires many brilliant ideas before being eradicated. 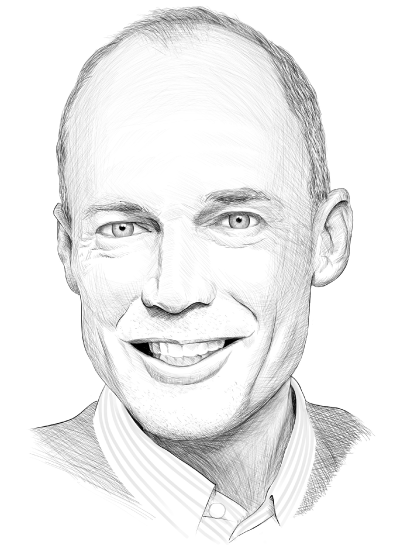 Bertrand Piccard is part of a fabulous line of ‘savanturiers’, those scientist-adventurers without whom there would be no radical progress or innovations. His grandfather Auguste was the first man to go into the stratosphere, his father Jacques was one of the first people to explore the deepest parts of the world’s oceans, namely the Mariana Trench, and Bertrand himself achieved the first successful non-stop circumnavigation of the globe in a balloon in 1999. Four years later, Bertrand and his friend André Borschberg threw themselves into a crazy project: inventing the solar airplane. His idea was to explore the potential of solar energy in a radical and pragmatic way: is it possible to create an aircraft free from its dependence on fossil fuel? Can one imagine a plane that consumes not a single drop of the nearly 100,000 litres of kerosene required today to fly from Paris to New York? With SOLAR IMPULSE II, a first solar-powered world tour was carried out between March 2015 and July 2016. This was a real achievement, but it was only the first step in an incredible project which opens the doors to new technologies yet to be invented. The path ahead will probably be similar to the one that led from the Wright brothers to the moon landing of Apollo XI. Imagine a seventeen year old discovering the pollution of the oceans by plastic bags and bottles. Imagine considering the ‘continental’ importance of this ecological catastrophe: if we amassed all this waste, the resulting cluster would be the size of a continent. Imagine, at only 17 years of age, him saying: “I will solve this problem. Not tomorrow, not when I’m grown up: now! “. 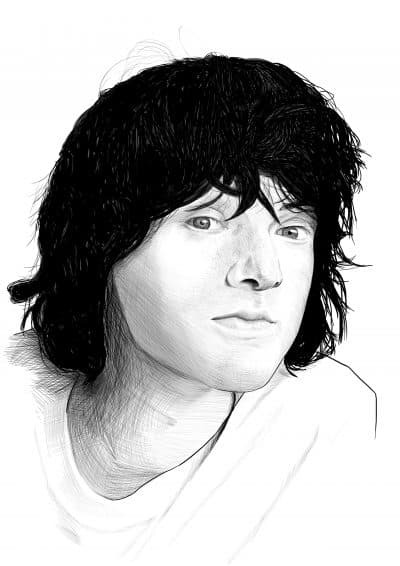 It’s the story of a particularly bold, creative and obstinate young Dutchman: Boyan Slat. The very idea of ridding the oceans of their millions of tons of plastic is surely a utopia for politicians, industrialists and even ecologists. Tackling the mountain that has invaded the oceans (experts are talking about 8-10 million tons a year, that’s more than a dustbin-full every minute!) seemed to be totally unrealistic before Boyan Slat’s dream. The lack of political will, significant public or private investment, original ideas and commitment, and a lack of vision, made the unbearable fate prevail. The young aeronautics student’s brilliant idea was to develop a passive solar-powered system by creating giant floating barriers which use the ocean’s currents to salvage plastic bags, bottles and other floating plastic waste floating on the surface and to up to three metres underwater, and remove them for recycling. A giant prototype is already in operation in Japan: the floating dam is two kilometres long. Following his idea – a truly revolutionary humanitarian project – more than 50% of the world’s oceans could be harvested in less than ten years at a cost that should be covered by recycled plastic revenues. P.S. : When he launched his project, he had €200, and only one company out of the two hundred he had approached showed any interest.